Why waste your money buying ready-made vegan olive tapenade, when you can easily make it for a fraction of the price at home, with just 5 ingredients? I sure can’t think of one reason. 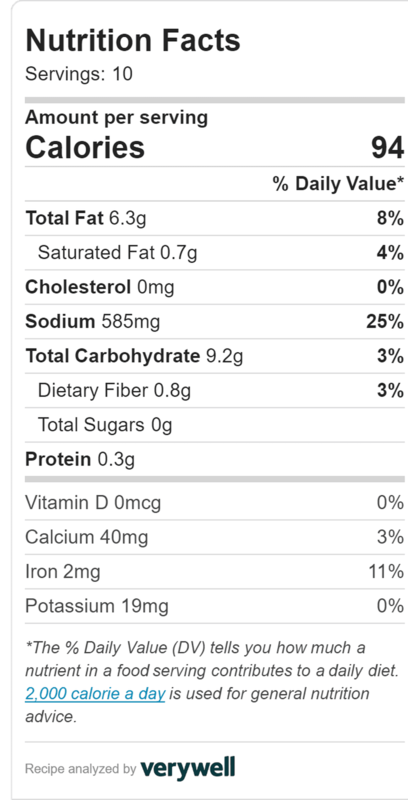 Why do I love this Vegan Olive Tapenade so much? 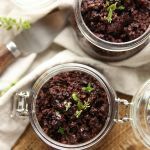 Not only does this black olive tapenade recipe require just 5 ingredients, it’s made using a combination of my two favorite olives, kalamata and Morrocan dry cured olives which are always full of flavor. Plus in my opinion, homemade rather always tastes better than. Probably because I know exactly what I’m putting into my olive tapenade. If you don’t own a food processor, just give those knife skills of yours some fine tuning and dice the tapenade as fine as you possibly can. I have tried it and can say the results are pleasing, it just takes a while longer to prepare. So, there you have it. Be sure to let me know as soon as you make this. I always love hearing from you! Easy 5 Ingredient Vegan Olive Tapenade! Remove the pits from the kalamata and Morrocan dry cured olives and place into a food processor. Peel and crush the garlic clove then add to the food processor along with the leaves from 2 – 3 fresh thyme sprigs, olive oil, and optional black pepper. Blend until mixture is well combined. You may need to scrape down the sides of your food processor to ensure all that goodness has combined. Transfer to 2 small jars, cover with optional olive oil if you plan on storing it longer than a few days, then transfer to the fridge and enjoy with your favorite slice of bread! Remove the pits from the kalamata and Morrocan dry cured olives and place into a food processor. Peel and crush the garlic clove then add to the food processor along with the leaves from 2 - 3 fresh thyme sprigs, olive oil, and optional black pepper. Blend until mixture is well combined. 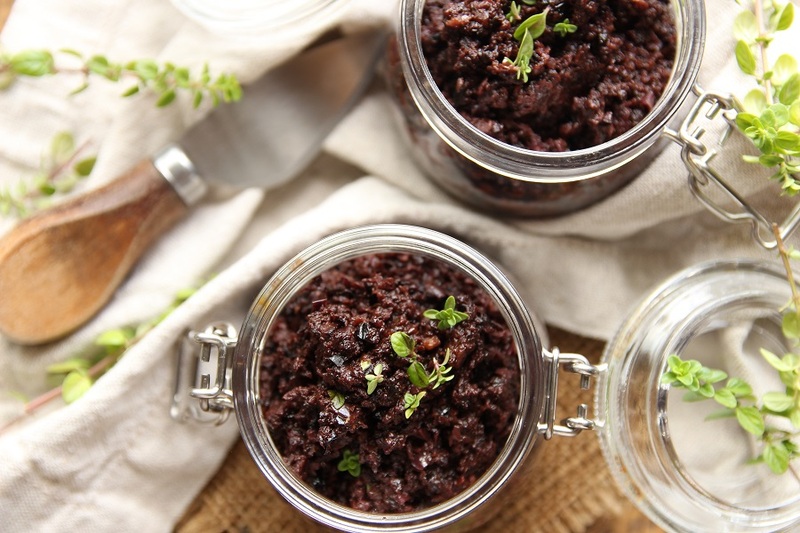 Pin This 5 Ingredient Vegan Olive Tapenade For Later! 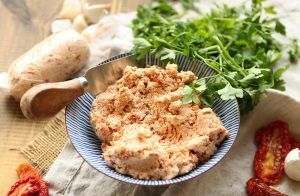 Next time give my Homemade Tofu Spread a try. It’s a family staple at home and ridiculously easy to whip up. ← Easy Vegan Pumpkin Curry – 30 Minute Meals! 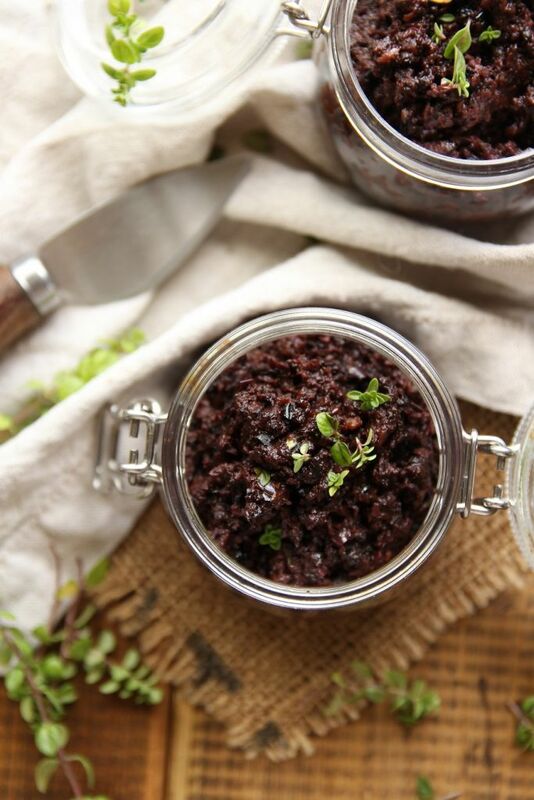 I love this super easy Vegan Olive Tapenade…many thanks .